Story. I told mine a couple of years ago at a ladies fellowship meeting. I changed my name to make it more mysterious and revealed the truth at the end. The women enjoyed the truth tale and a couple of women were radically impacted. Our story has an effect on others. Back to topic. Who’s writing your story? Every story has an author, our lives start out with God as the Author, but along the way, at 14 years of age I took the pen from Father’s fingers and began writing my own. I kept writing for the next twenty years. My story got real ugly at times. Desperate even. Oh for sure, three wonderful lives were birthed during that time – I wouldn’t rewrite them – but, and follow me here…when I relinquished pen and paper to my heavenly Father in 1984, my story took a whole new turn. The road got straighter (narrower too, but oh how I love boundaries); the vision became clearer; and the goal became anchored. I never want to begin writing my own story again! Having the right Author changes EVERYTHING! GOOD and insightful and thought-provoking …..as always, Susan. Love you! 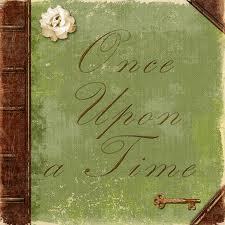 Yes….I could write a book…one day I just may do it with the happy ending. Does make you think though. Mike is off med’s, on the road to recovery. Thank you Jesus! So happy to hear about Mike. My story is already written and placed in the Lamb’s Book of Life. Thank you my Savior. It must be time to tell YOUR story? Let me know when & where! Ohhhh, I love this. I would love to write my story down, but it would scare so many family and friends. And I’m not a writer, as you can tell. I’ve been keeping a journal, since the 80’s, and one day , my children/grandchildren shall read it, and see that Mom, Nanny wasn’t perfect, and what our Precious Lord , has brought me thru. But the way you write Susi, so beautiful, you really get into the meat of things. This was lovely, I have always believed that our life is a story, one that God is writing for us, if we allow him. Thank you! Thank you for dropping by and commenting on the blog. “If we allow Him…” that’s the key! Denise, thanks for stopping by. When we allow Him to take control of our lives, the story becomes a wonderful melody of praise! In the Celebrate Recovery program, we have to write our “story”. I am in the process of doing that, and the Lord is helping me with every pen stroke. It is a tale that goes up and down and I thought concluded with a divorce, but that is not what the Lord had/has in mind. Some day maybe I’ll let you’all read it! from home”. All before them was unknown. It was felt both exciting and unsure. They had a mission to accomplish, yet knew not how to find their way. beginning and the ending. What lies between is what we were created for. as with any Author. But in the end. It is the Author who gets all the Praise. of the wonderful works that he has done in and through our lives, till we reach our destination. I’m not big on movies, and I watch very few. However, Your writing made me think of that scene in reference to my life’s story. This is how I feel, right now. Untreated waters. Unfamiliar ground. At present taking care of my Father-in-law, who is 90 in March. In the last stage of Alzheimer. And my Mother who has moved in to stay for the Winter, with walking issues. Today is the furthest I have been on this journey of being a caregiver for parents. The challenges are getting harder. I am tire. God has sent help and I am grateful. As I wait for the end of my service it will be embraced with grief and loss. the “Lambs Book of Life”. There once was a girl named: Arna ………..
Dear Arna, I keep your arms lifted as you walk through this battle. Prayerfully, me. I’m so glad you found your way to Three Word Wednesday. I love when someone new joins us!! And how wonderful that you came on a day when I shared about telling my story. The first 42 years of my life were me trying to write my story. I’m so glad that pen has been turned over to Him. I hope you join us again in weeks to come. Beth, I faithfully blog on Wednesdays and I did have to adjust the title a bit to make it “three words” – I thought it appropriate. I enjoyed reading the other posts as well. Will definitely drop by next week! Glad you drove over!! Again, “…write your story” comes across my path. (The virus is still in my computer but my story will be written for others to draw strength from.) My story is also one of what happens when we write our own story, which God allows us to do, as he gently calls us back to Him. And that is the climax of my tale: when the unseen and the seen collide into His ulitmate love, mercy and grace. Depending on the moment, I still take the pen and say, “yeah, but what if it goes like this?…”; like I have the ability to write on the ‘project board’ and set the direction for the characters. I am so grateful for his patience, humor and love. Every day is a new experience of obedience and grace. I am so thankful that He was willing to take the pen to my story back once I had made such a mess of it all. Amy thank you for visiting HopeHeartHome – we are blessed to have Him watching over us. Sometimes I feel as if my story would be quite boring; other days, based on some of my older journal entries, it would be pretty hard for family members (maybe even friends) to read…I came to God as a teenager; and again later, after straying in my early adult years, came back to him. I think my life has been a constant “coming to”, “straying” and “coming back to” my Father who knows the plans he has for me and has guided me on my path – a path which I try to follow too much on my own. Thank you for sharing these wonderful words about writing your story – my story…maybe one day the words will be there for me! Barb, your story is exactly what someone else NEEDS! A great reminder that God should be the author. His ways are better than our ways, but we often forget and want to be the author of our own lives, in the end that just leads to hurt and pain. Thanks for sharing this truth. Amanda, His story is always best! Such a good short post! The author is EVERYTHING! I bet that was so neat for those women to hear your story and then find out that it was you at the end. That’s a great idea. I really enjoyed reading this. It certainly does make a difference when you let the true author have the pen. Oh, yes, letting him keep the pen when I would so like to determine the plot and ensure I am the hero…it is the constant challenge. But I am so grateful He is the author of mine! Great post, friend. And, He writes so much better than I do, Colleen! Hmmm. It never occurred to me before that I have been asking the wrong question. This is something that I will ponder tomorrow on my day off. Thanks for this thought-provoking post. I love the analogy of grabbing the pen and trying to write your own story–so many of us do that–whether it’s for a day or a week or a month or years, the results usually end up the same (not that great). I love letting the Author write my story! Such a temptation to grab that pen!